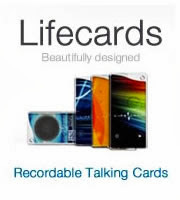 With other low quality recordable greeting cards you might as well be trying to have a speaker phone conversation in the middle of a blizzard, but with LifeCard, you'll be amazed at the crystal clear sound fused into the micro miniature talking card. I have electrincally engineered a super thin sound machine that is thin enough to be embedded into a business card. 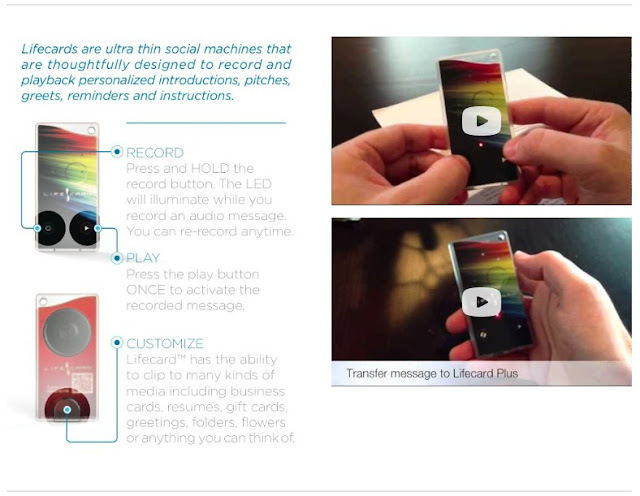 We have designed the ability to record one to one marketing messages into the card and easily activate them with a touch of a button. LifeCard was made to give away like candy, so naturally we don't want it to cost you an arm and a leg that's we keep it incredibly affordable without sacrificing quality. I designed these LifeCards to be competively priced whereby anyone could plus up a give away for a few dollars. 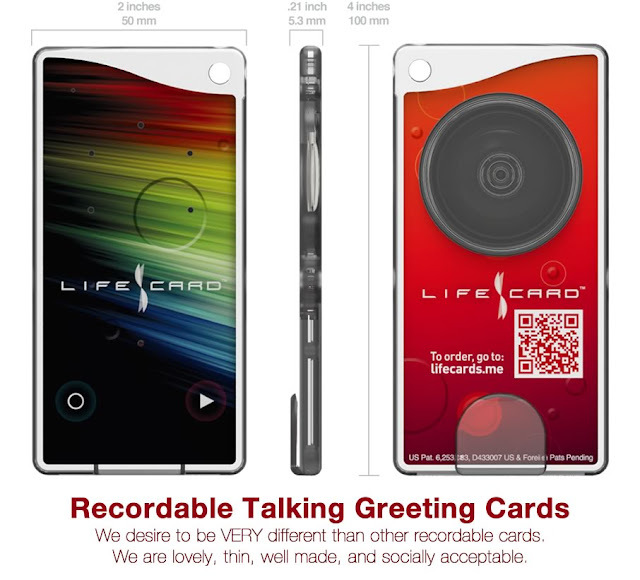 LifeCards are much better than greeting cards because they are customized by your voice and the emotion of giving away a part of yourself, a part of who you really are.